Let the Kids Play With Christmas Masks. Grab these Free Printable Christmas Mask templates and let the fun begin! We loved to play with cut out masks when we were kids no matter what time of the year. We had to drew our own masks though (well mummy did) as internet was a bit different back then plus we didn’t have a printer in our home (I did get it as a Christmas gift when I was a teen though, well me and my sister shared the gift but we didn’t mind). Today there hardly is a household without a printer so getting a few printable masks is a must! Keeping up with the spirit of Christmas I’ve created 4 printable masks (totally forgot the Gingerbread man!) you can download and print at your home (or anywhere else). I think kids will love playing around with these (they are a hit in our household) and maybe the’ll even set up a play for you. 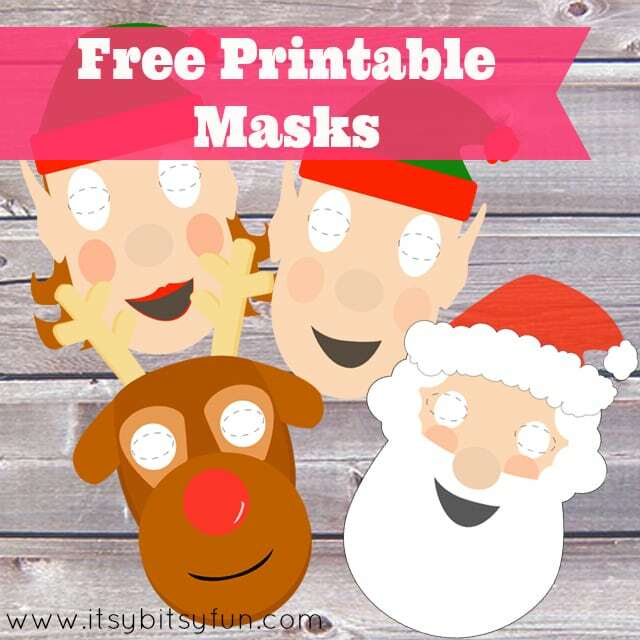 Have a Merry Christmas and enjoy these free printable Christmas themed cut out masks.